Sandwiches are the ultimate to-go food --- quick, cheap and easy ways to satisfy your mid-day hunger. 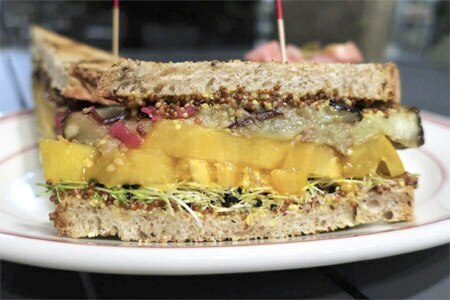 The LA area boasts a variety of fine specimens, from piled-high pastrami sandwiches and Italian deli cold-cut sandwiches to falafel and other flatbread offerings. Out of so many choices, we have only selected the Top Sandwich Shops in Los Angeles, presented in alphabetical order.